Representing a diverse group of directors & artists for commercials, branded content & experiential projects. Two Audis go ’synchronized swimming’ in Reset director Johnny Hardstaff’s new commercial for the brand's latest UK campaign. Redefining precision, the Audis dance gracefully in a specially-designed pool where they put on a mirrored and thrilling performance fit for a gold medal. There are team ups, and then there are all-star team ups. Wiley brings together grime legends Stefflon Don and Sean Paul with the surprising addition of Idris Elba to round out the catchy new single ‘Boasty’. With all-star VFX by Electric Theatre Collective, the viral video beams with bright colors and keeps you guessing with out-of-this-world transitions that everyone is raving about. McCafé knows their coffee needs no fancy introduction in this new ad by Academy Directing duo Us. Poking fun at the pretentious coffee culture, we’re taken through over-the-top scenarios from a hipster barista making coffee like a mad scientist to an interpretive dance symbolizing the blend of coffee and cream. Turns out all you need for an amazing cup of coffee is fresh ground arabica beans and organic milk from your neighborhood McCafé. 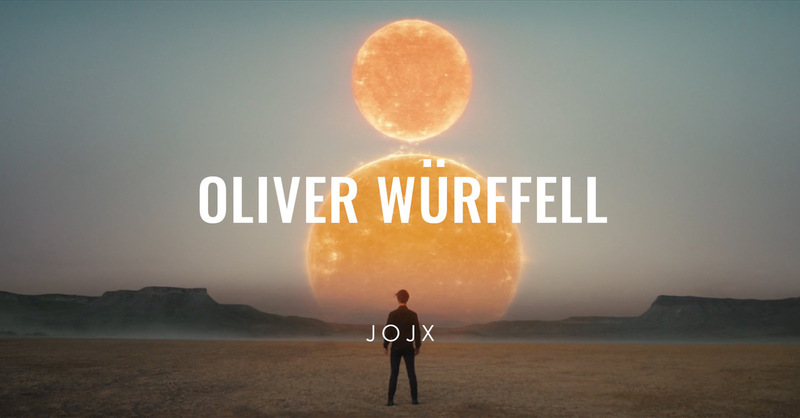 We are excited to announce that JOJX signs Director Oliver Würffell to their roster! We are thrilled to be representing this incredible director who is known for putting his fresh perspective on classic brands. Reset Director Wally Pfister gives a classic horror scene, a fresh behind the scenes perspective in Walmart’s newest fashion campaign. Walmart is tapping into the glamour of the Oscars and it’s classic cinema to promote fashion’s connection and importance in the film industry while “celebrating the behind-the-scenes heroes” that make it all possible. Ever have an irresistible urge to return to nature? Instead of running to the wild, grab a Michelob Ultra Pure Gold to curb your cravings. Reset Director Ian Pons Jewell gives his take on the ‘Call from Nature’ with every-day people giving into their primal urges with animalistic runs down city streets and soaring through skyscrapers. 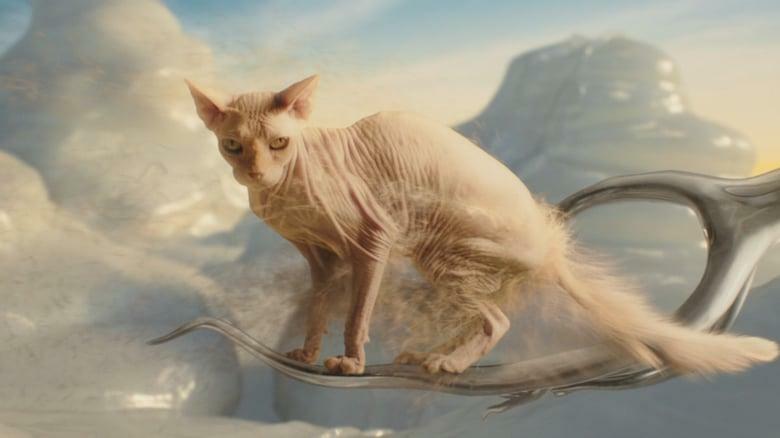 Electric Theatre Collective brought the animalistic VFX to life with their award-winning graphics to make this an ad fit to premier during the coveted 2019 Academy Awards. 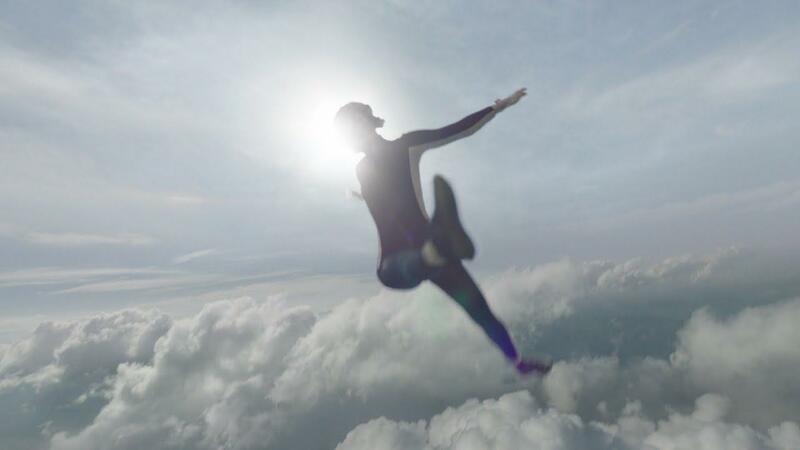 Academy Director Jonathan Glazer takes the Apple Watch to new heights with his ad, ‘Flight’. Going from a mountainside run to an exhilarating free fall in the sky, in only a minute Glazer boasts jaw-dropping visuals pairing beautifully with Apple’s sleek hardware. 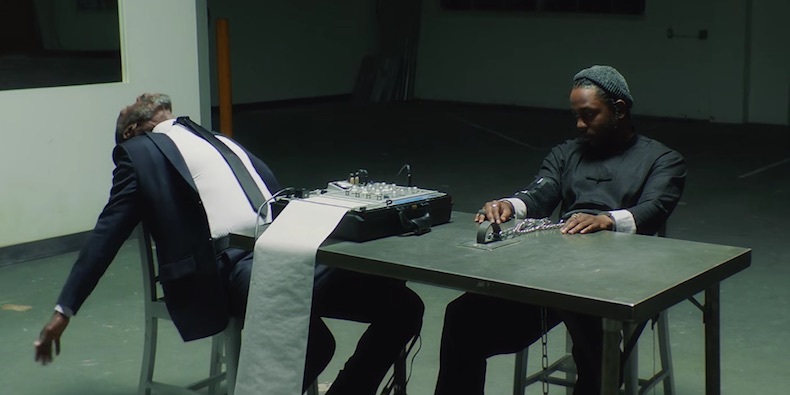 Visionary Director Nabil from Reset does it again with bringing two unlikely forces together, James Blake and Travis Scott to star in the new ‘Mile High’ music video from Blake’s new album. Paired in a mystic underworld, a coffee conversation turns into a modern day love letter that you’ll be singing all day long. 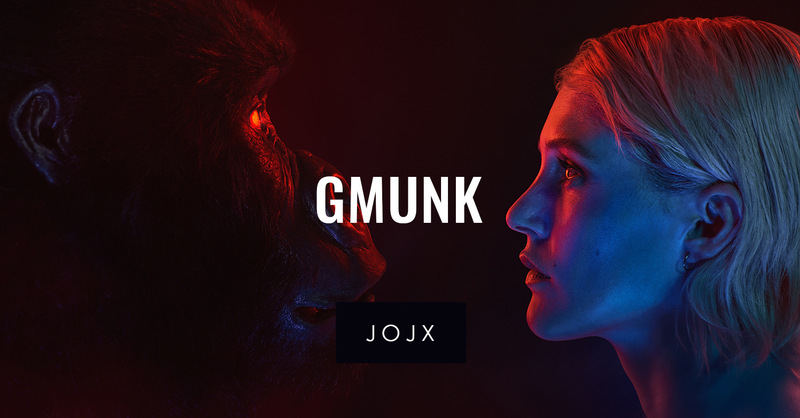 We are thrilled to welcome the visionary director GMUNK to the JOJX roster! GMUNK’s creativity and innovation spans multiple mediums from experiential installations to music videos and commercials. 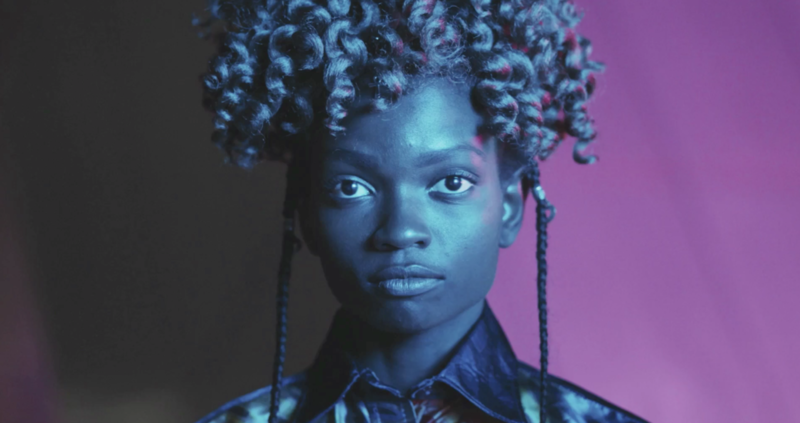 Fusing science-fiction themes, out-of-this-world color palettes, and practical in-camera effects, GMUNK’s incredible work often plays on themes of human connection and technology. Just you, your MINI and the new road ahead. Marcus Söderlund from Reset beautifully directs ‘Don’t Fence Me In’ from sweeping city landscapes to detailed close-ups that show a MINI doesn’t just get you where you need to go, but gives you the confidence to arrive in style. Rosalía's repuatation of extrordinary visuals gets a new addition - and this is the most explosive one yet. 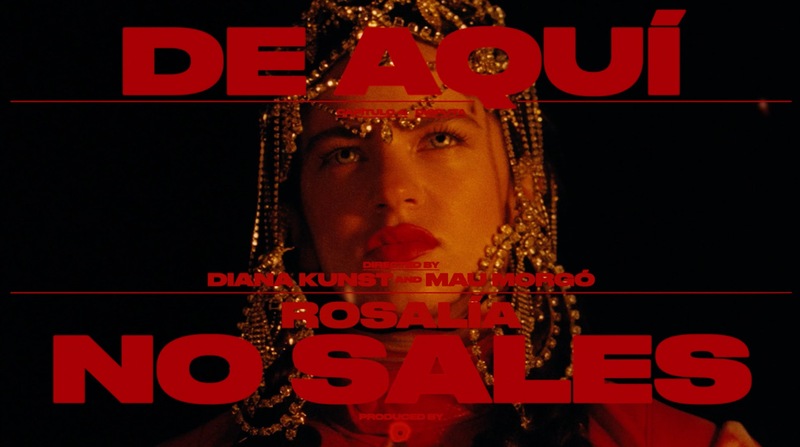 Object + Animal Directors Diana Kunst and Mau Morgo drop us into Rosalía’s captivating and unique fantasy world in this fast paced and exciting music video titled ‘De Aquí No Sales’ that leaves you wanting more. Bryan Cranston takes us on an American history lesson in Ford's new "Built Ford Proud” campaign. Reset Director Ian Pons Jewell shows us how Ford is building the future in this amazing spot by Wieden + Kennedy New York. Congratulations to our friends at Academy Films on being ranked second best production company in the UK’s Campaign Magazine annual! 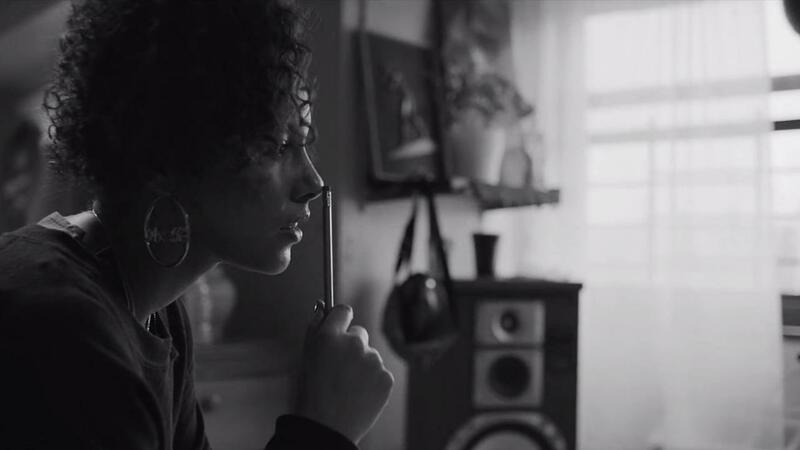 Billy Boyd Cape‘s Pride in London - “Pride Matters” and Ian Pons Jewell’s Three - “Phones Are Good” are amongst the Top 15 Ads of 2018, as well as both directors making it to the Top 10 Directors list. Ancestry - “Together Forever” and Amazon Prime Video - “Great Shows Stay with You” are also up there with the leading spots from this year with VFX from the talented Electric Theatre Collective crew. Huge congrats to Reset Director Ian Pons Jewell on making Televisual Magazine‘s Top 10 Directors in this year's round-up issue! Another big shout-out to the Electric Theatre Collective London office on placing #2 in the rankings for top-rated post house and #3 for most used. 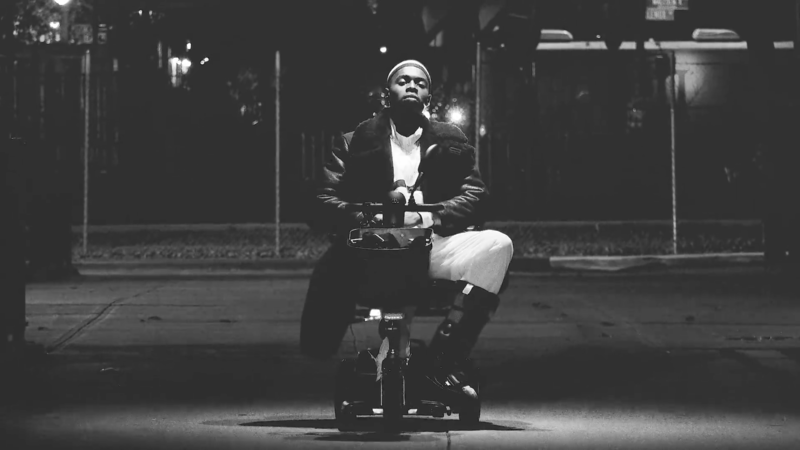 Sheck Wes: “Mo Bamba” music video from Object & Animal Director Nick Walker bags the #8 spot in Pitchfork's ‘Best Music Video’s of 2018’. The Elantra travels through a city of mirrors in this new spot from Reset Director Reynald Gresset for Hyundai “Bold Never Blends” from our friends at Innocean. Mobile phones are getting a bad rap these days, but imagine if Henry VIII had tinder… could have saved a few divorces and beheadings right?! Reset Director Ian Pons Jewell smashes it again with this ridiculously good spot for Three Mobile from Wieden+Kennedy London. New creative studio OBJECT & ANIMAL opens its doors in London & LA and we're thrilled to announce they have joined the Red family for West Coast representation. More about the OBJECT & ANIMAL launch below and be sure to follow them on Instagram @objectandanimal. Good stuff! They're back! The Famous Five go on another great adventure across the network in the new GWR 'Five & The Missing Jewels' from Friends Electric Director Pete Candeland and Adam and Eve/DDB. We are SO excited to announce that JOJX is now part of the Red Rep family! 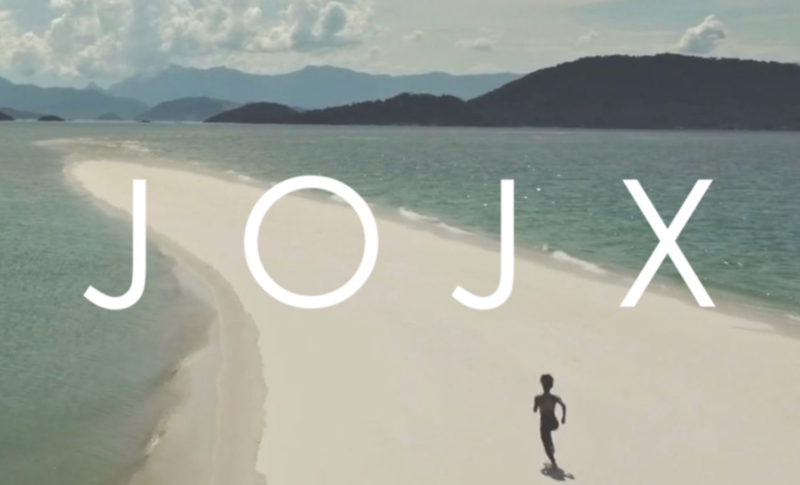 JOJX boasts a stellar roster of award-winning directors spanning the globe. We're so happy to be working with production dream team, Jackson Morton, Joe Care, and Pedro de Oliveira, as well as having some great new directors to send your way! The first (and totally fire!) commercial from recent Reset Content signing Coralie Fargeat. 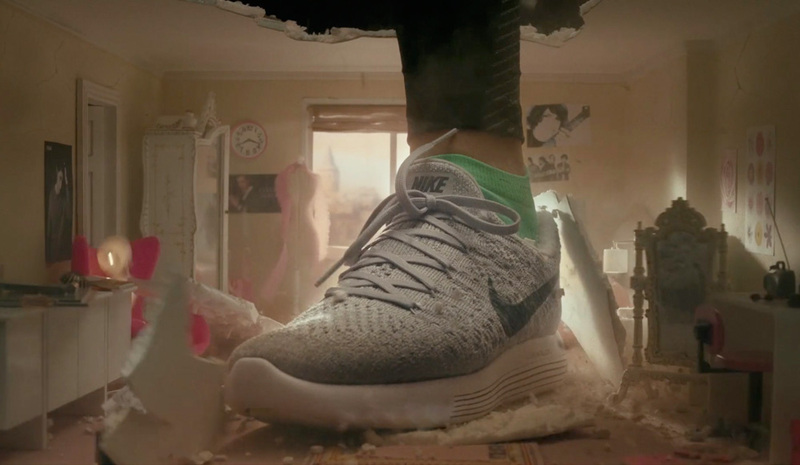 Her feature film Revenge was a knockout, and so this spot for Nike Womens through Wieden+Kennedy was sure to pack just as much of a punch. Watch this space!! 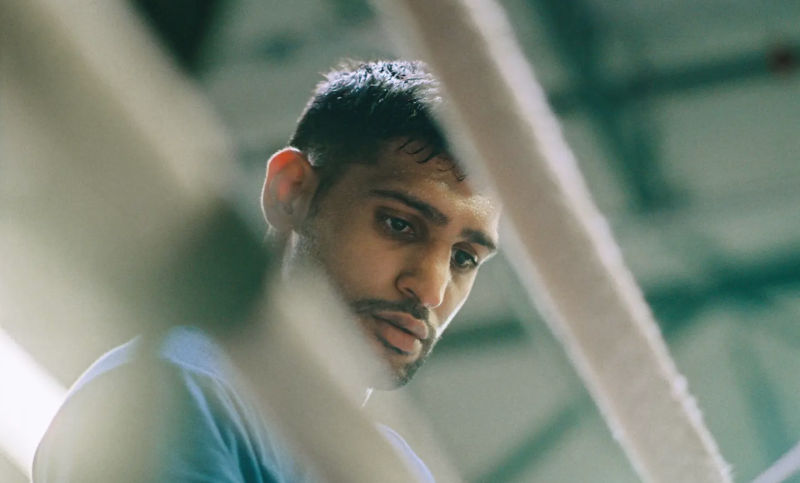 Academy and Reset Content Directors Novemba have their feature documentary ‘Team Khan’ premiering at Raindance Film Festival - Saturday, September 29 - where it’s been nominated for ‘Best British Film’ and ‘Best Cinematography'!! It’s here! 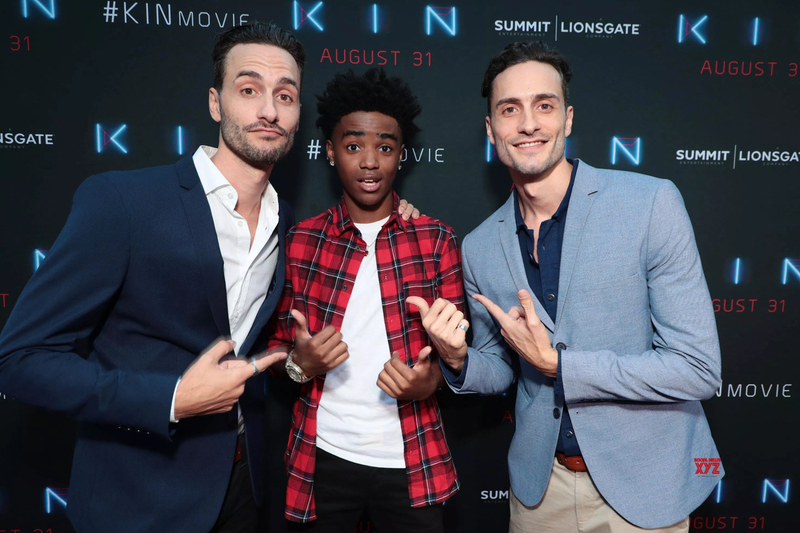 KIN officially released in theatres nationwide today! So happy for Josh & Jonathan AKA Twin (Reset) and so excited to go see it! This new spot from Reset Director Ian Pons Jewell for Nike propels us into a future where Chinese football takes over! Check the Ad Age article in the more link below. 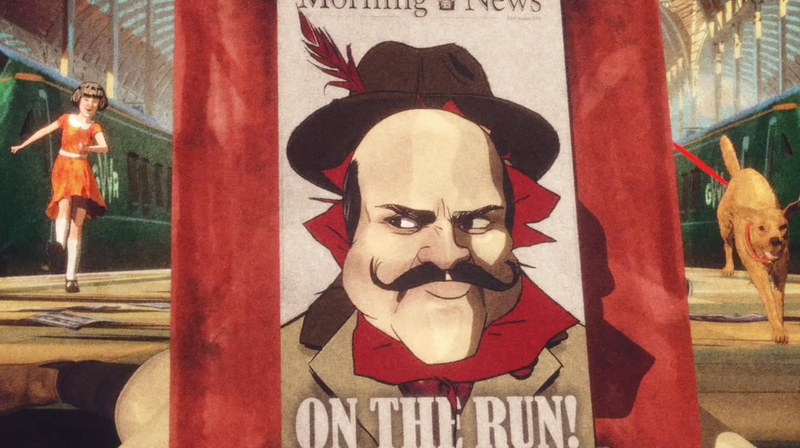 Latest from Little Minx Director A.V. Rockwell for Best Buy 'Teen Tech Centers'. Beautiful films for a wonderful program. BBH London and Academy/Reset Director duo Us fling us back to reality in this latest spot for British gaming company Bwin. 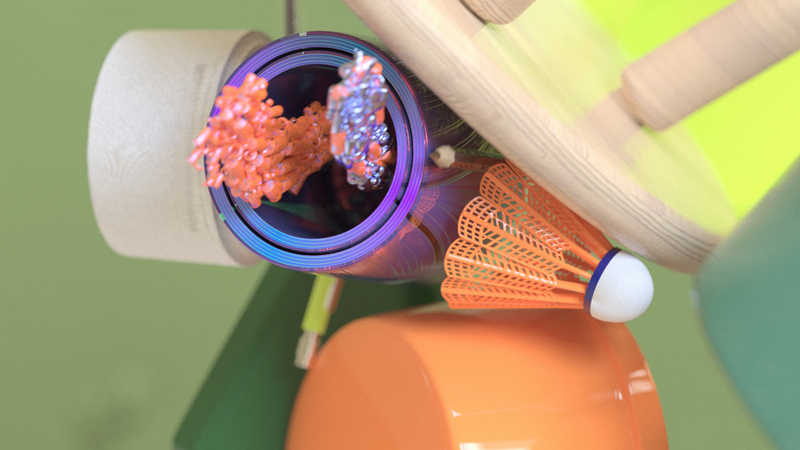 Incredible new work from Friends Electric Director collective Foam Studio unveiling the advanced features of ‘Cinema 4D Release 20 (R20)’, a breakthrough version of MAXON’s iconic 3D design and animation software which released today! For all you Wimbledon fans! 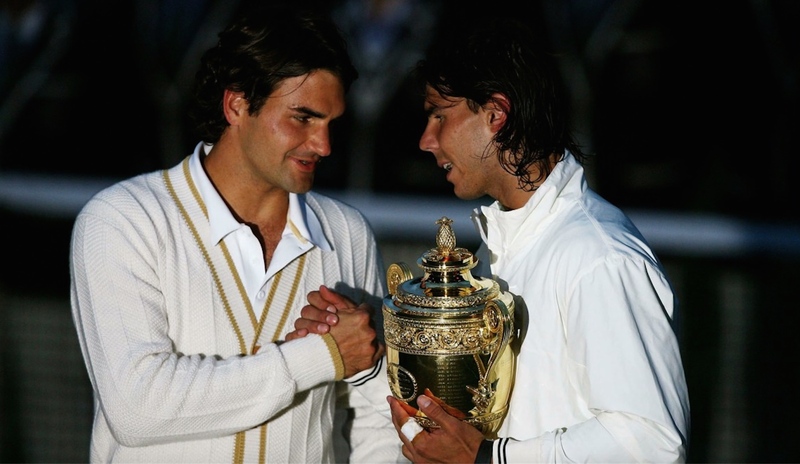 Reset + Academy director Andrew Douglas’ brilliant feature-length documentary on the monumental 2008 final between Nadal and Federer "STROKES OF GENIUS” airs this Sunday at 18:20PM (GMT) on BBC 2. Also available on iTunes. Congratulations to Joe Kosinski (Reset) & our friends at Deutsch LA on Taco Bell ‘Web Of Fries’ winning a SILVER FILM LION at Cannes this year. 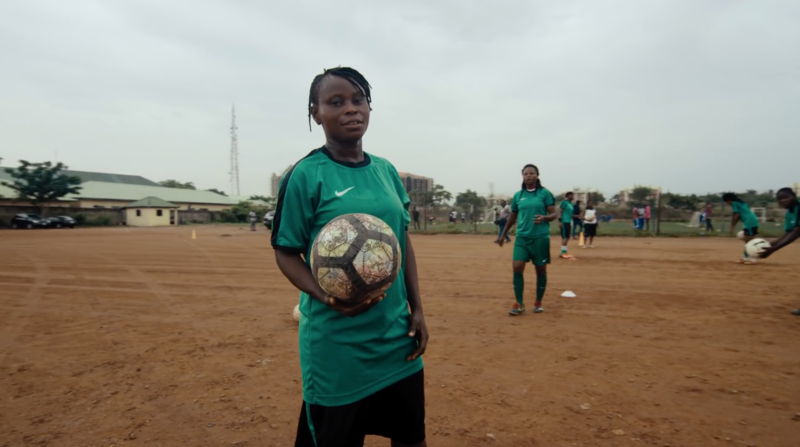 'This is Naija' Andrew Dosunmu's latest film for Nike Football (Soccer) celebrates Nigeria's electric, colorful, culture and nationwide love of the beautiful game. 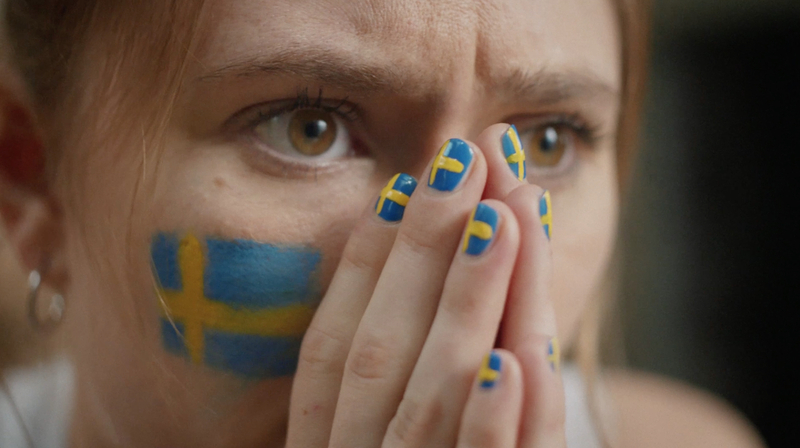 Latest McDonald's World Cup spot from Novemba (Reset) capturing those electric, joyous, and frustrating moments every sports fan experiences. 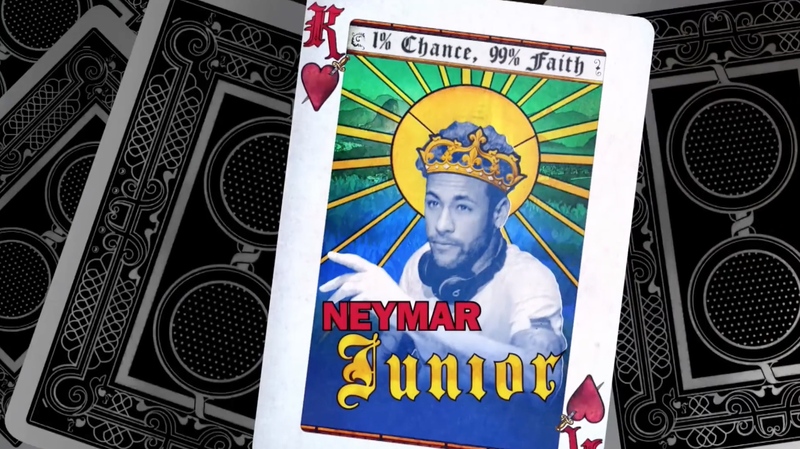 Guy Ritchie (Reset) directed this scorcher for Beats By Dre World Cup anthem ‘The Defiant Mixtape’ starring some of the world's biggest soccer players and featuring that classic cockney narration we all know and love. Garth Davis is back!! This latest spot for PlayStation invites gamers to “Live Fearlessly” marrying otherworldly, stunning visuals and VFX. 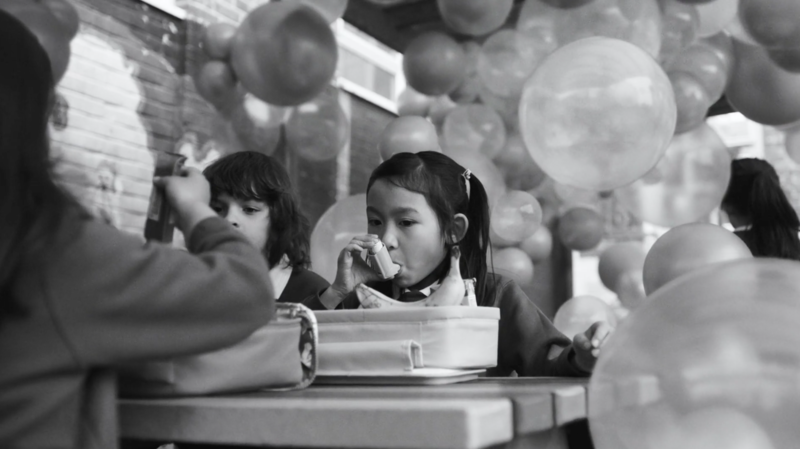 New work from US (Academy/Reset) for Transport for London “Balloons”. Advertising the upcoming “Ultra Low Emission Zone” with VFX by Electric Theatre Collective. 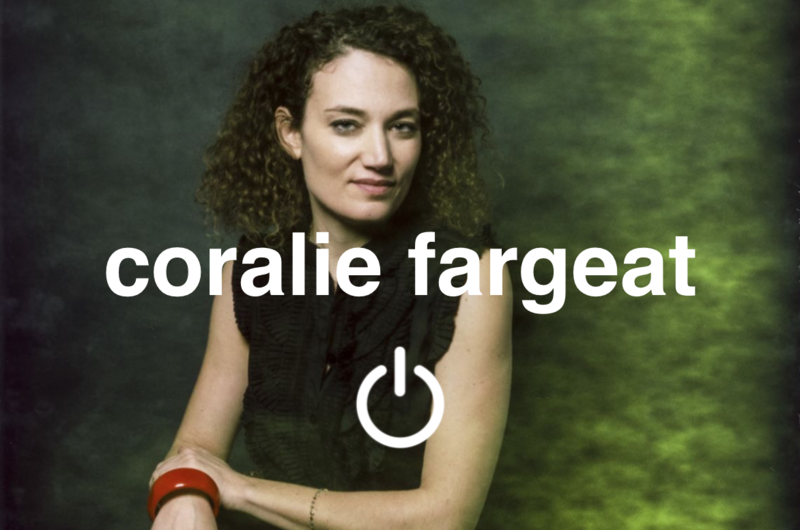 Director Coralie Fargeat has joined Reset for commercial representation! Her feature film ‘Revenge’ premiered at Toronto Film Festival last year and released in the USA this month. Check out the trailer link here. Maya Moore recreates Michael Jordan’s wings pose in Nabil‘s latest spot for Nike‘s Jordan brand. Well done to our British Arrows winners! Gary Freedman, Ian Pons Jewell, Novemba, Lucas Zanotto, and Ben Liam Jones all walked away with arrows/crafts. So stoked for you all! 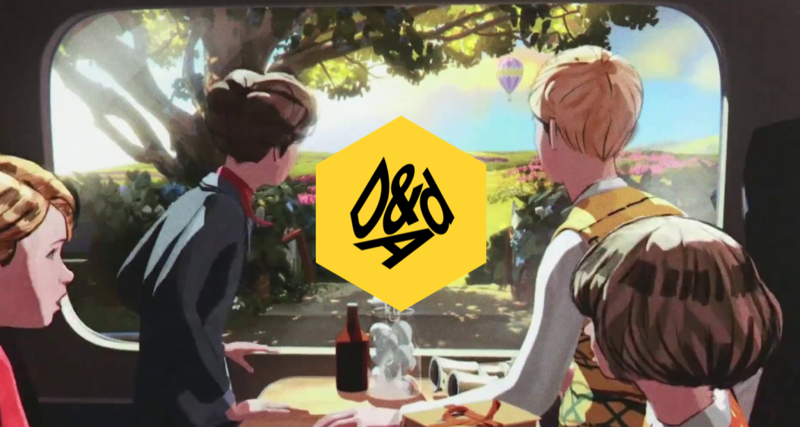 CONGRATULATIONS to Friends Electric and Pete Candeland on winning a D&AD Graphite Pencil award for Great Western Railway! Very well-deserved! The latest Coors Light project from Andre Stringer (Reset) with VFX by Electric Theatre Collective. Latest work from Wally Pfister (Reset) Celebrating Catalan culture and the 20 year partnership between Nike and FC Barcelona. 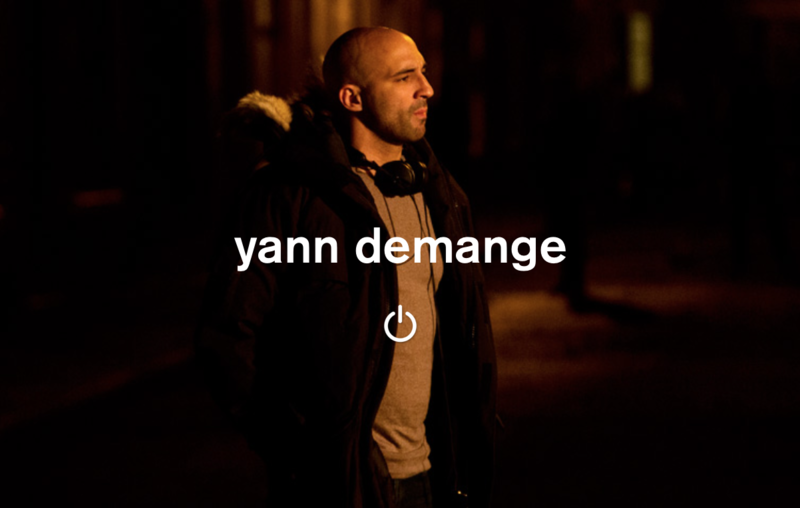 We are thrilled to announce that director Yann Demange is now signed with Reset. Take a look at some of his work, including trailer for the award-winning '71' on Reset's website. 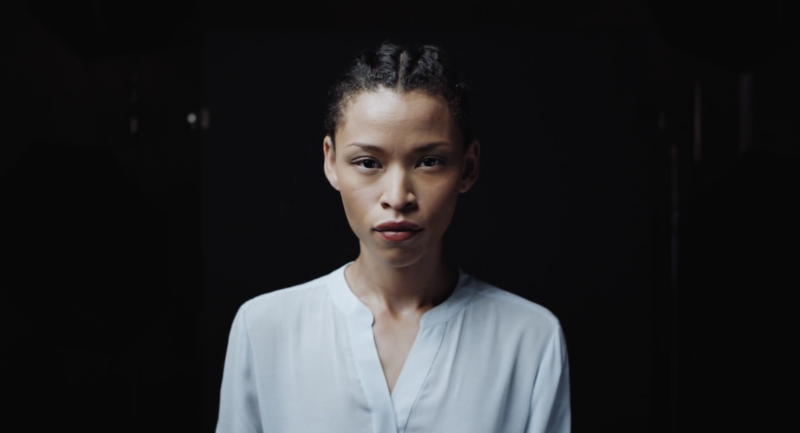 Us' (Reset / Academy) seamless new film for Apple takes us behind the scenes to show the process of creating Portrait Lighting for the iPhone X. Color grade by Jason Wallis (Electric Theatre Collective). We the people. We're better together than we are apart. 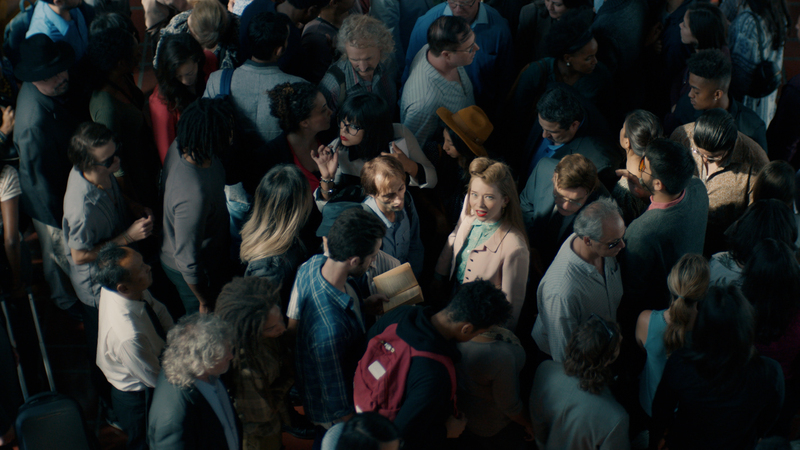 That's never been more evident than in Diego Contreras' (Reset) honest & beautiful new film for Ford. Doritos and Mountain Dew collaborated with ad agency Goodby Silverstein & Partners and director Nabil (Reset) to give us the Super Bowl spot we all needed - a lip sync rap battle between Peter Dinklage and Morgan Freeman complete with cameos from Busta Rhymes & Missy Elliott. Watch the epic face off here and read more about the ad, which Adweek named as one of the five best ads of the night, below. 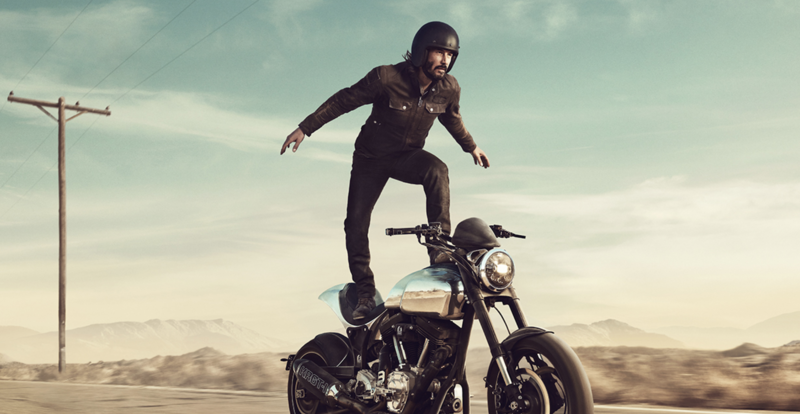 Keanu Reeves surfs on his Arch Motorcycle while singing along to Will Powers’ “Adventures in Success” in Jonathan Glazer's (Academy / Reset) latest for Squarespace. 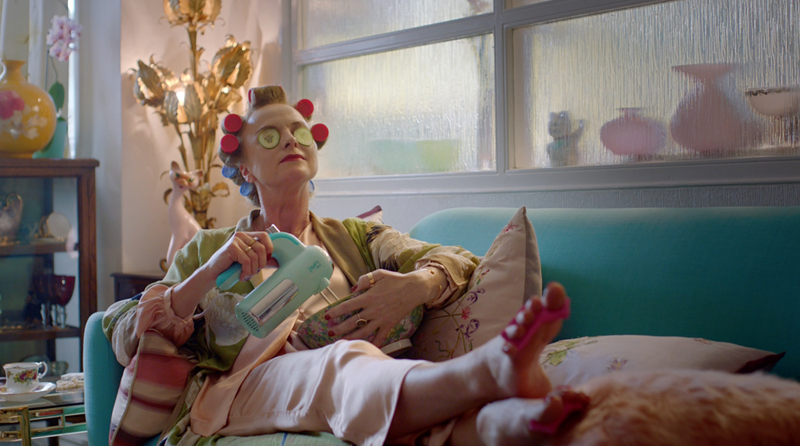 Watch the Super Bowl spot here and more via Adweek below. 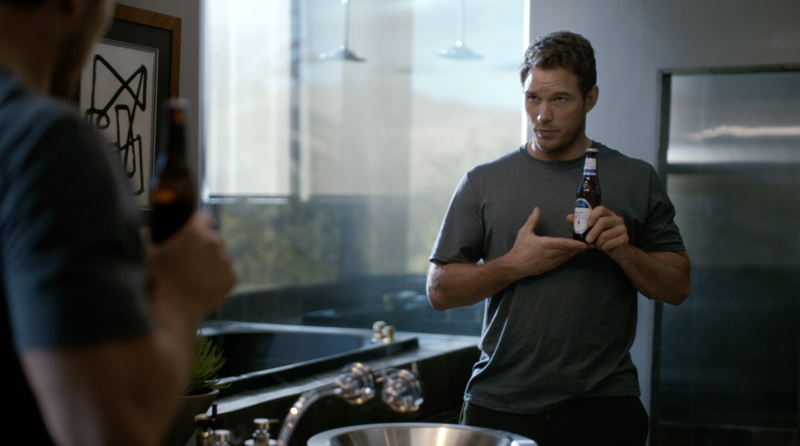 Chris Pratt trains for the role of his lifetime alongside surf legend Kelly Slater, U.S. Open golf champion Brooks Koepka and NYC Marathon winner Shalane Flanagan in Michelob Ultra's two-part Super Bowl campaign directed by Gary Freedman (Reset). Watch both spots here and more from Adweek below. 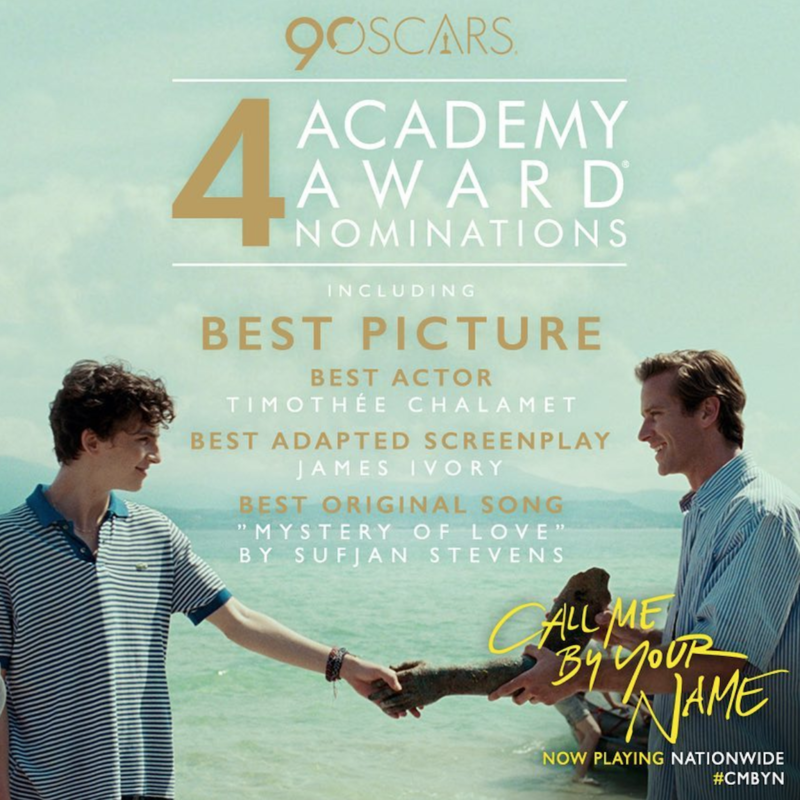 Luca Guadagnino's (Little Minx) Call Me By Your Name has received FOUR Oscar nominations including Best Picture, Best Actor (Timothée Chalamet), Best Adapted Screenplay (James Ivory) and Best Original Song ("Mystery of Love" by Sufjan Stevens). Complimenti, Luca! The Nigerian women’s bobsled team has already made history by qualifying for the Winter Olympics, but this is just the beginning of their story. Get a glimpse of what it takes to create a legacy in Beats by Dre's latest installment of its 'Above the Noise' campaign directed and shot by Malik Sayeed (Little Minx). Ever wonder why Taco Bell doesn’t sell fries? 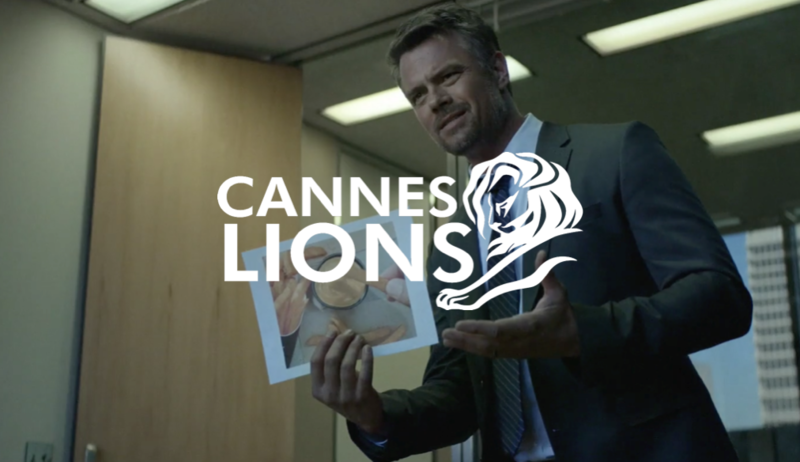 That question sets off Josh Duhamel in the brand’s new faux movie trailer for a thriller called 'Web of Fries' directed by Joseph Kosinski (Reset) and created by Deutsch LA. Check out the ad here and more from Adweek below. 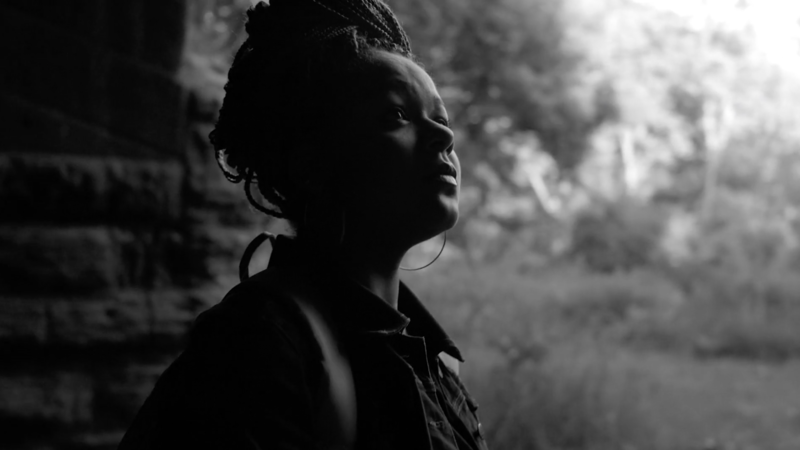 Directing duo Novemba (Academy) collaborated with YouTube star Shea Glover in this moving film for the Samsung Galaxy A8. Check out the spot here and more via Adweek below. TurboTax & Wieden+Kennedy hilariously spoof our fear of doing taxes in a series of new spots directed by Gary Freedman (Reset). Check out the campaign featured in Adweek below. Go on. Seriously, there's nothing to be afraid of. 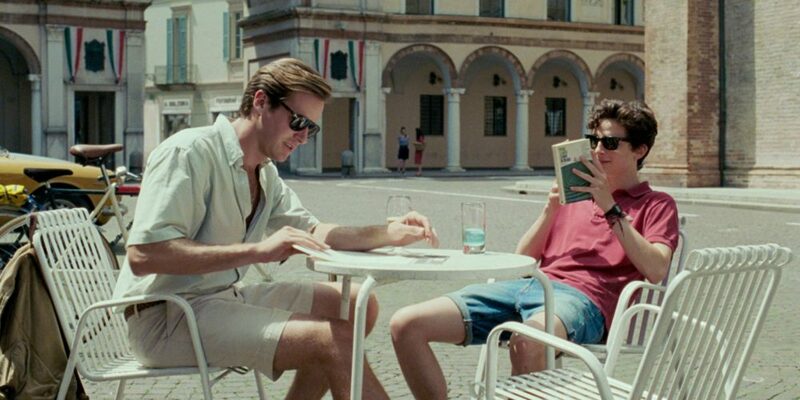 Major congrats to Luca Guadagnino (Little Minx) on Call Me By Your Name receiving three Golden Globes nominations including one for Best Motion Picture. Solange, Kelela, Dev Hynes, and more star in the new Raf Simmons Calvin Klein campaign directed by Rubberband (The Reserve). More via the Fader below. Gary Freedman (Reset) makes Campaign Magazine's ranks of the best film directors working in creative advertising this year. On Black Friday Jay-Z released a powerful visual for 'Legacy,' the closing track off his hit album 4:44. 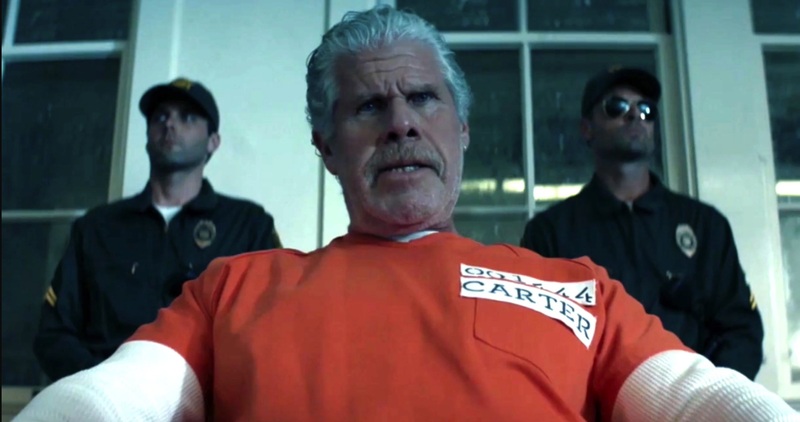 Produced by Little Minx and directed by Jeymes Samuel the video features a star-studded cast including: Ron Perlman, Jesse Williams, Susan Sarandon, Emile Hirsch, Jonathan Tucker, Edi Gathegi, Aldis Hodge, and Kwame Boateng. In Adweek's Ad of the day Ian Pons Jewell (Reset) answers just about every question imaginable on the new Google Pixel 2 in his latest for Google and Droga5. Harry Styles ignites a cupcake war in the new video for "Kiwi," the latest video directed by Us (Academy) off the singer's self-titled debut album. 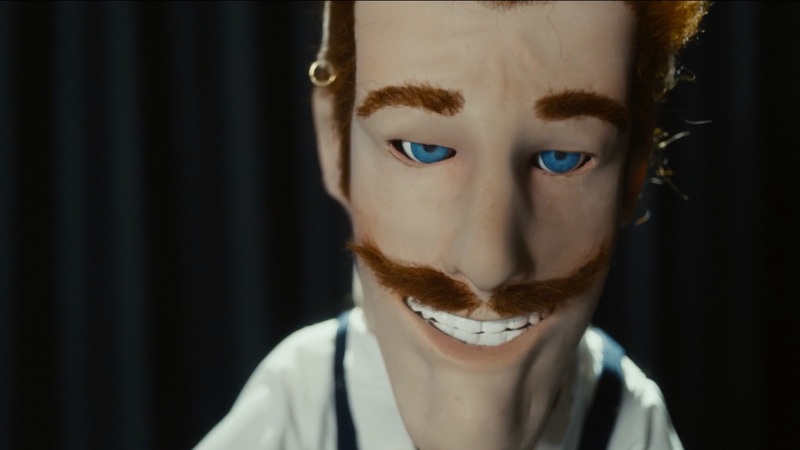 Ian Pons Jewell (Reset) creates a surreal fantasy world of smoothness for Dollar Shave Club's new shave butter campaign featured on Creativity. VFX by Electric Theatre Collective. A.V. 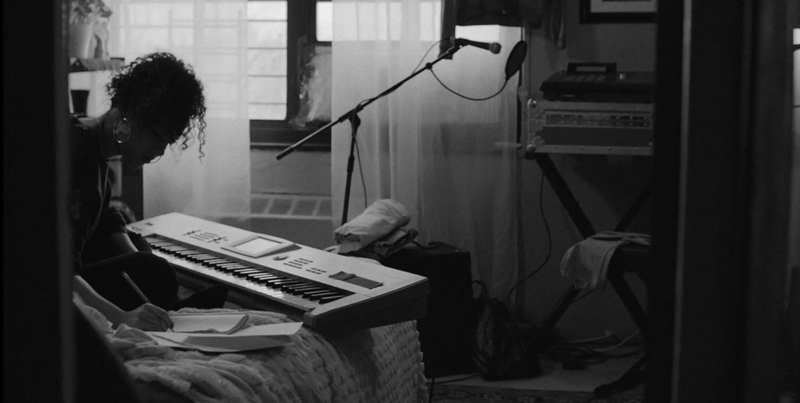 Rockwell (Little Minx) took home the One Screen Award for the Free The Bid Music Video category for her music-driven short film "The Gospel" presented as a visual prelude to Alicia Keys' sixth studio album. In Jacob Rosenberg's (The Reserve) new series of short, documentary-style films touting Royal Caribbean’s Alaska cruises, three Alaskans—two transplants from the Lower 48 and one native—vividly bring the state they love to life. In this stylish and enigmatic short film, Johnny Hardstaff (Reset) takes on the overly masculine relationship men have with cars. Set to a number of tracks from Parisian DJ and producer Jimmy Whoo’s latest release, 'Motel Music II', the film tells the story of an obnoxious young man who stumbles upon an abandoned car and finds himself on an unexpected journey. 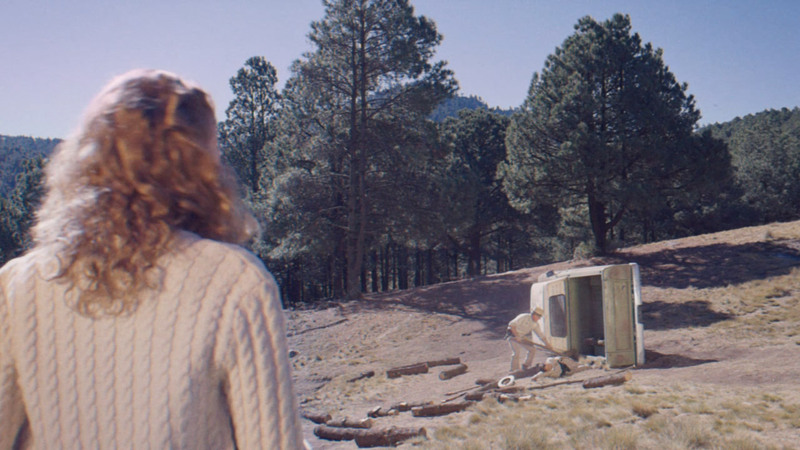 Writer/Director Joseph Kosinski (Reset) teams up with Oscar-winning cinematographer Claudio Miranda on 'The Dig', a short film starring Lily Collins & Taylor Kitsch. The footage is the first ever to be shot on Sony's soon-to-be released full-frame digital camera called the Venice. 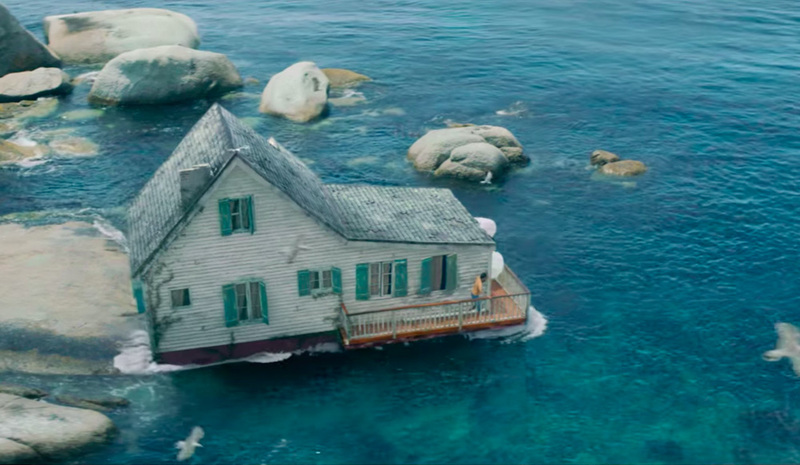 Björk has shared her new music video 'The Gate' made with longtime collaborator Andrew Thomas Huang (Strangelove) and Gucci designer Alessandro Michele. “As a throughway into Bjork’s new album, ‘The Gate’ is a declaration of hope sung by a woman refracted and re-formed into a luminous whole,” Huang shared in an interview with Nowness. 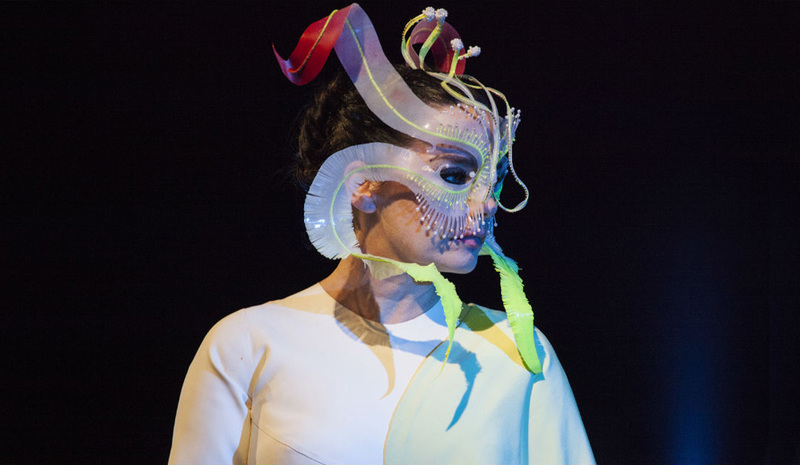 Watch a behind the scenes making of Björk's custom Gucci gown here. 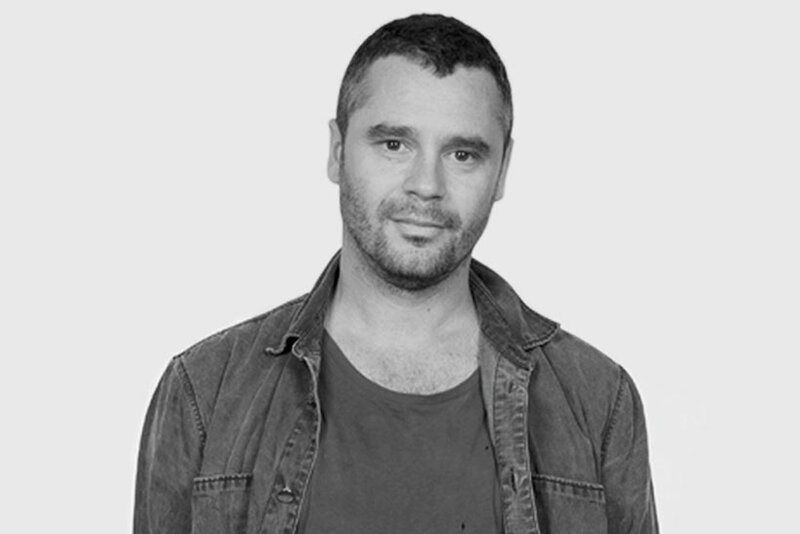 Director Diego Contreras has joined Reset for branded content and commercials worldwide. His work spans such clients as Reebok, Lincoln Motors, Stoli Vodka, 23andMe, Blue Moon and the U.S. Air Force for agencies including Droga5, Venables Bell and Partners, The Martin Agency, Anomaly, Publicis Paris, and Hudson Rouge. Adam Hashemi (Reset) brings to life Nike Football's new global tagline: "Lock In, Let Loose." The latest campaign out of Wieden + Kennedy Amsterdam for kids who love football, featuring interpretive modern art and three of Nike’s youngest stars – Marcus Rashford, Kylian Mbappé and Leroy Sané. In their new campaign via Wieden+Kennedy London, Pete Candeland (Friends Electric) + Electric Theatre Collective come together to craft a tropical woodland where the sun never sets for Finlandia Vodka. Graded in rich tones of green and enhanced by the enchanting sounds of the forest, the Ad examines the fact that in Finland, the sun doesn’t set for 72 days during summer. In JAY-Z's "MaNyfaCedGod", directed by Francesco Carrozzini (Reset) and shot by Rodrigo Prieto (Little Minx) in stunning black and white, Lupita Nyong'o takes us through an interpretive dance symbolizing the trials and tribulations of a broken relationship on the mend. In the new Nabil (Reset) directed video for SZA's standout track "Supermodel" we see SZA get the last laugh in this a fantastical story of empowerment. 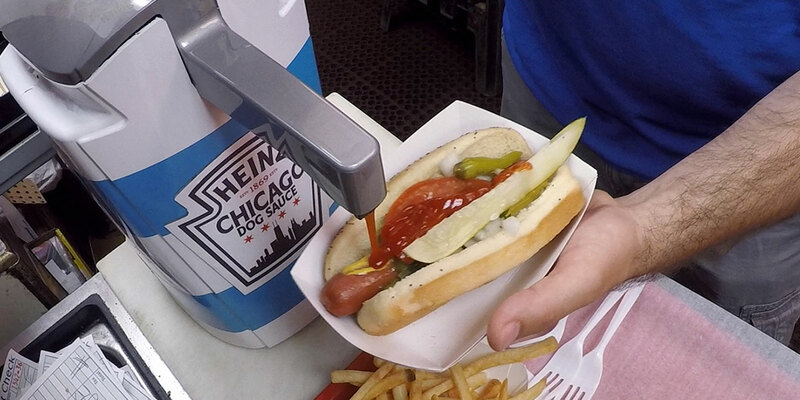 In Jacob Rosenberg's (The Reserve) latest campaign for Heinz via David Miami, Heinz develops a 'Chicago Dog Sauce' for the city that won't put ketchup on it's hot dogs. 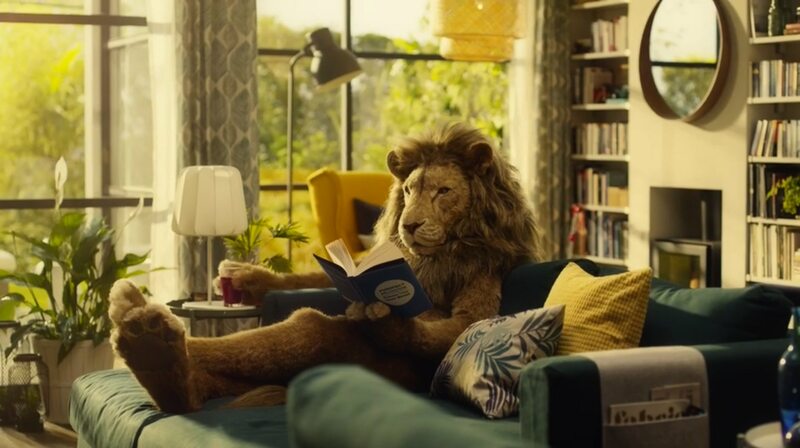 In Us' (Academy / Reset) charming new wildlife parody for Ikea, a lazy lion shows consumers how to throw off the stress of modern life and "relax into greatness." 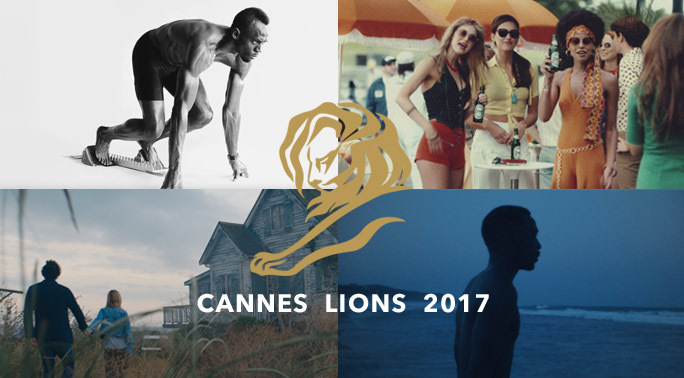 Congratulations to all our clients on their wins at this year's Cannes Lions Festival! Electric Theatre Collective was recognized with three Bronze Film Lions for their work on campaigns for Apple, Virgin Media, and Volkswagen. A.V. 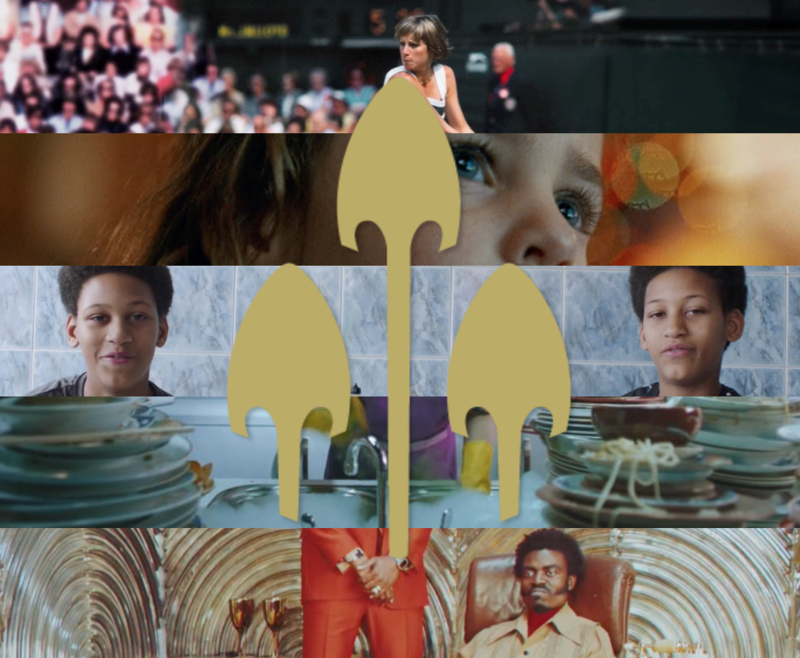 Rockwell's (Little Minx) short film The Gospel featuring Alicia Keys was selected and featured in the 2017 Saatchi & Saatchi New Director Showcase during Cannes Lions amongst some of the worlds top emerging directorial talent. In Daniel Warwick's (Reset) latest film a puppet gets tangled up in the "internet of things" and gets serenaded by signing poop in a quirky new music video by Swedish tech firm Semcon. Released at the 2017 E3 Gaming convention: Markus Walter's (Reset) new trailer for Wolfenstein II: The New Colossus is the highly anticipated sequel to the critically acclaimed first-person shooter, Wolfenstein. 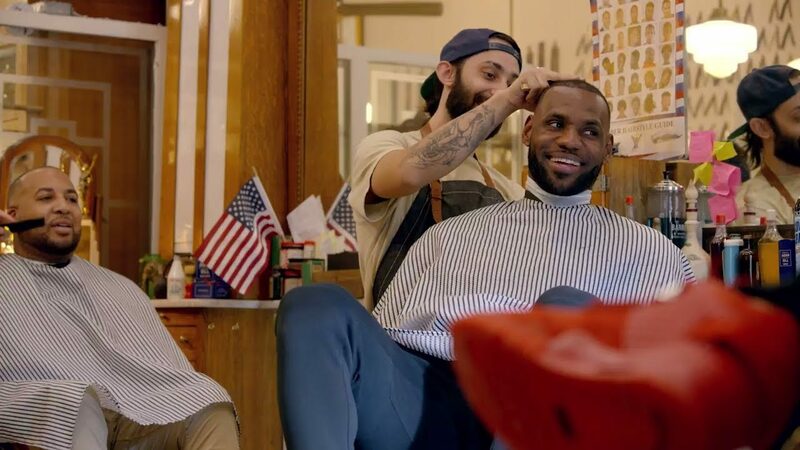 Directed by Malik Sayeed (Little Minx) for Beats by Dre, "The Shop" gives us an insider look into a barber shop conversation between close friends LeBron James, 2 Chainz, Steve Stoute, and Draymond Green. Watch Kendrick, Rae Sremmurd, and Gucci Mane in Mike WiLL Made It's crazy "Perfect Pint" video. Directed by Nabil (Reset), this fun acid trip of a video features UFOs, giant spiders, flying cars, and more. Little Minx announces the addition of director RC Cone to their roster of filmmakers. In addition to directing, RC is also a photographer and drone operator. RC came to the attention of Little Minx when they saw his award winning short film 'The Accord’. 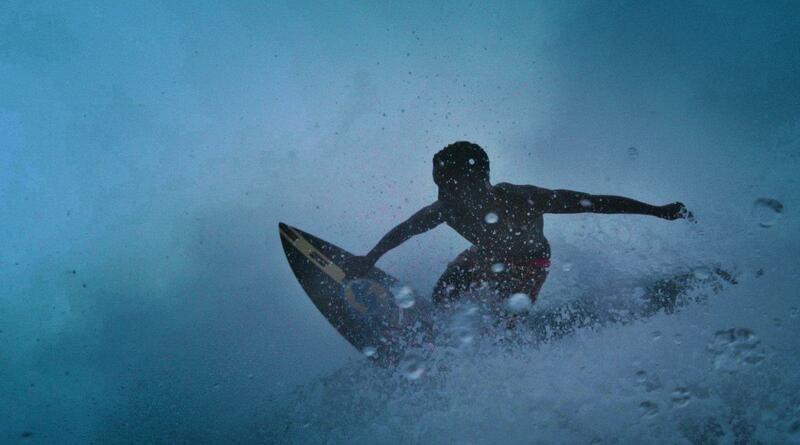 The film is a thrill-seeking journey about surfers in Iceland who brave the North Atlantic wind to find good waves. 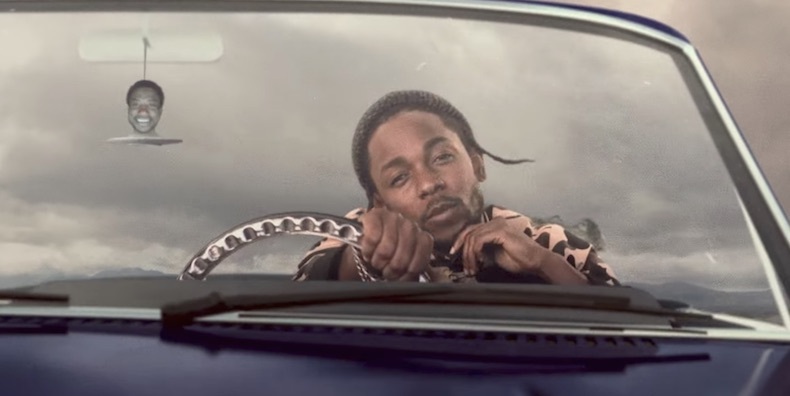 Kendrick Lamar follows up the release of his new studio album DAMN and the stunning visuals for "HUMBLE." with his latest single & accompanying music video "DNA." starring Don Cheadle and directed by Nabil (Reset) & the Little Homies (Kendrick and Dave Free). 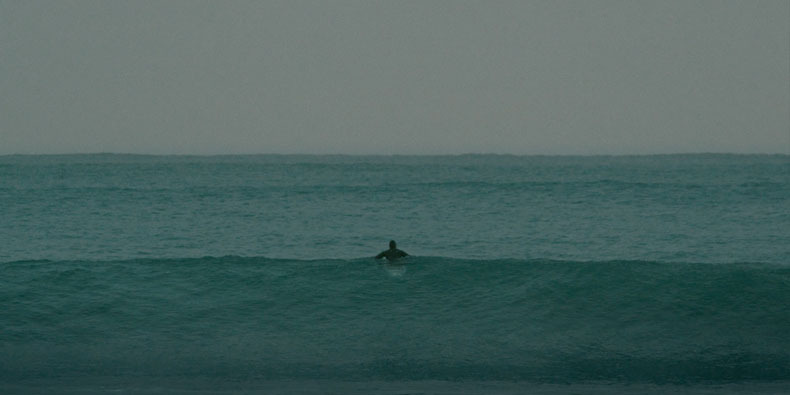 'Wowza' a short film for Mami Wata, shot and directed by Pantera's Pato Martinez and Francisco Canton (StrangeLove) tells the tale of an African surfer who has been taken as a lover by the mermaid Mami Water. Watch the Vimeo Staff Pick via It's Nice That below! 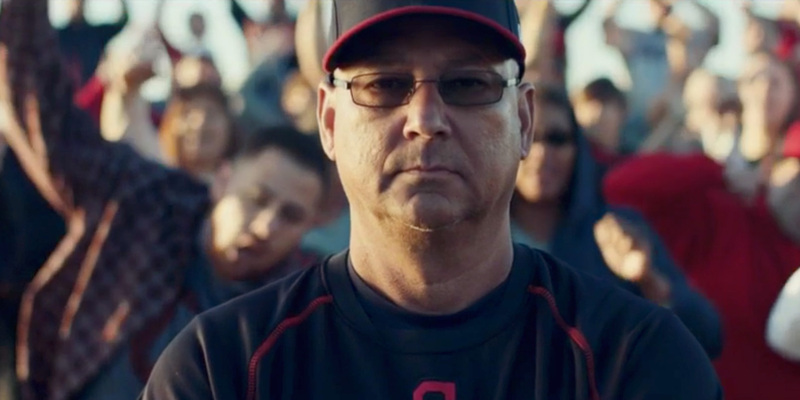 "This Season on Baseball," created via Anomaly NY brings dramatic flair to the game in this 60-second spot narrated actor Walton Goggins and directed by Jacob Rosenberg (The Reserve). Positioning the 2017 MLB season as if it's a long-running TV show, the campaign introduces multiple storylines and a cast of characters that includes some of baseball's hottest young talents. Pantera have signed with Strangelove, bringing their collective commercial skills to the team. 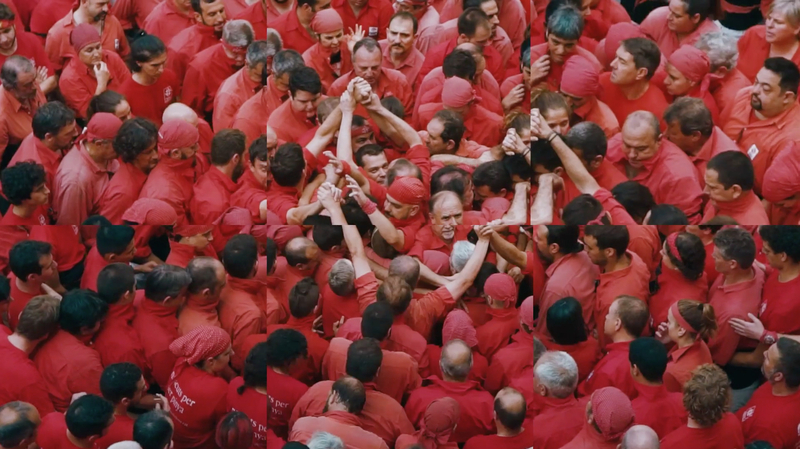 A collective formed by Brian Kazez, Pato Martinez, JP Bonino, Francisco Canton and Francisco Hauser, Pantera works together to create engaging commercial films with a strong focus on striking aesthetics and intuitive storytelling. 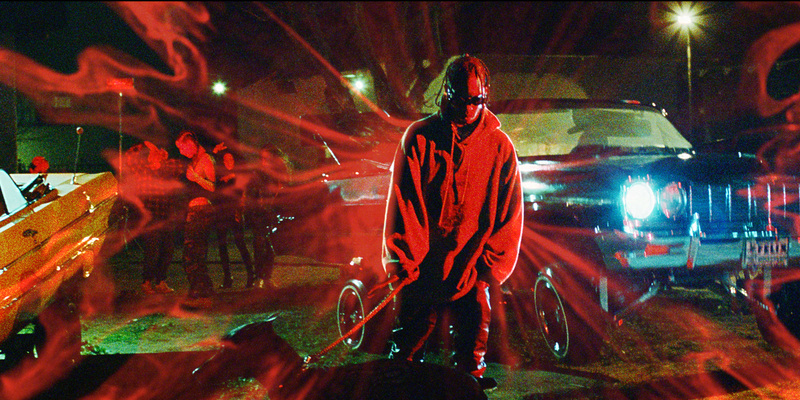 Travis Scott enlisted BRTHR (Strangelove) to direct the music video for his Birds in the Trap Sing McKnight platinum track, 'Goosebumps.' The hazy, trippy video begins with Travis emerging as a flaming skeleton. 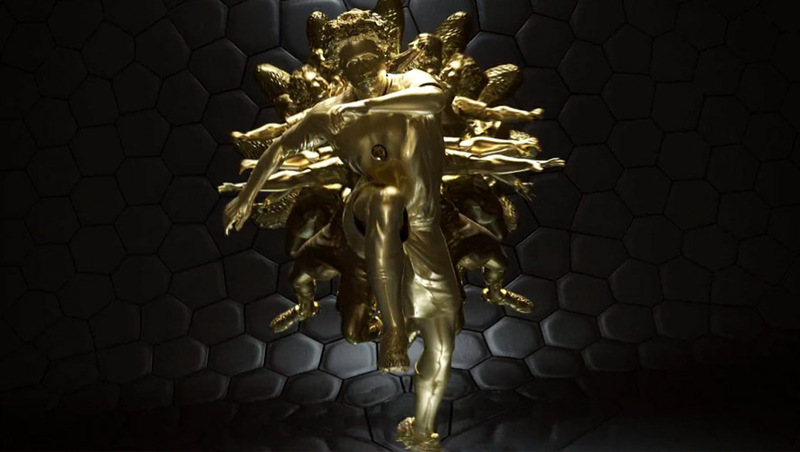 After that, there are colorful visuals, snakes, dogs, strange animation and more in this visual treat. Watch via Pitchfork below. 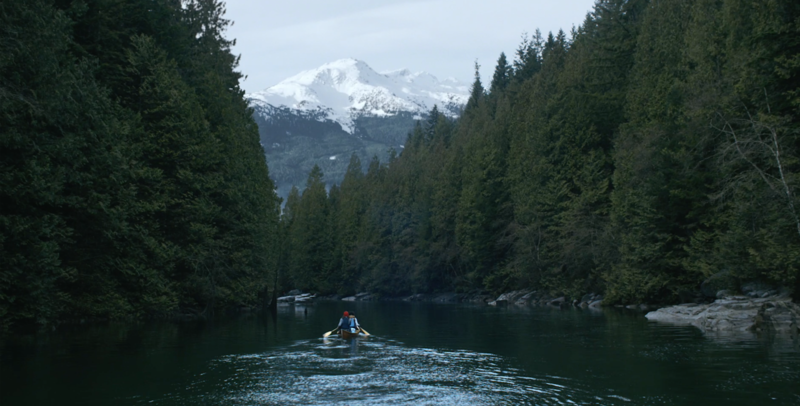 Director Reynald Gresset (Reset) takes viewers on a DIY journey in his lovely new Leroy Merlin campaign about the choppy waters of life. 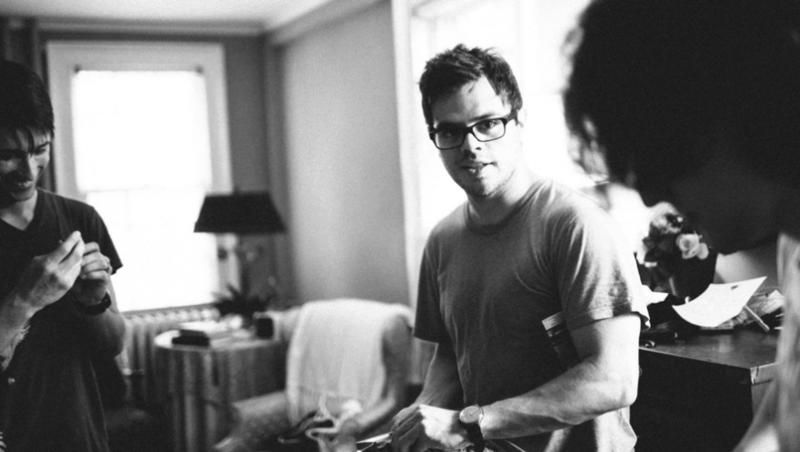 The Reserve has added Rubberband to its US roster of filmmakers. 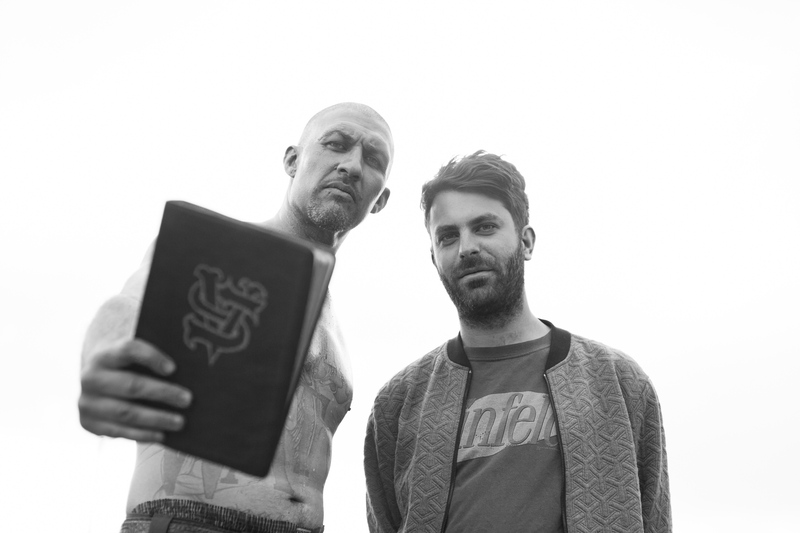 Comprised of Jason Sondock and Simon Davis, the directing duo has created notable work for brands and artists including Goldlink, Lewis Del Mar, Under Armour, and more. 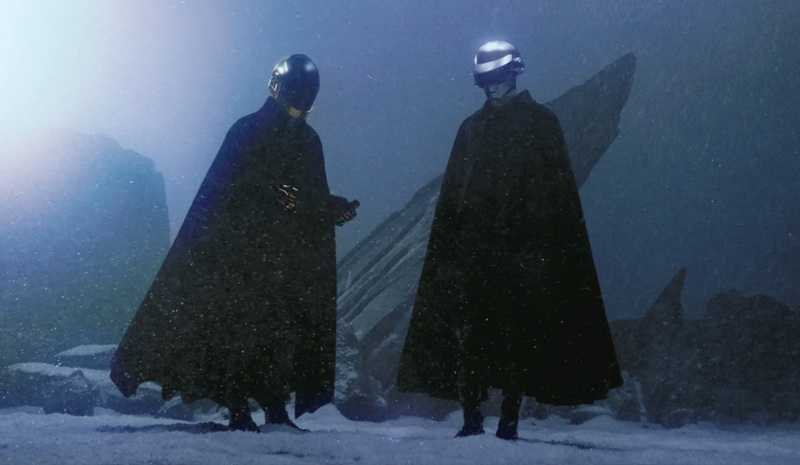 Electric Theatre Collective bring the VFX magic in The Weeknd & Daft Punk's futuristic 'I Feel it Coming' video directed by Warren Fu (Partizan). 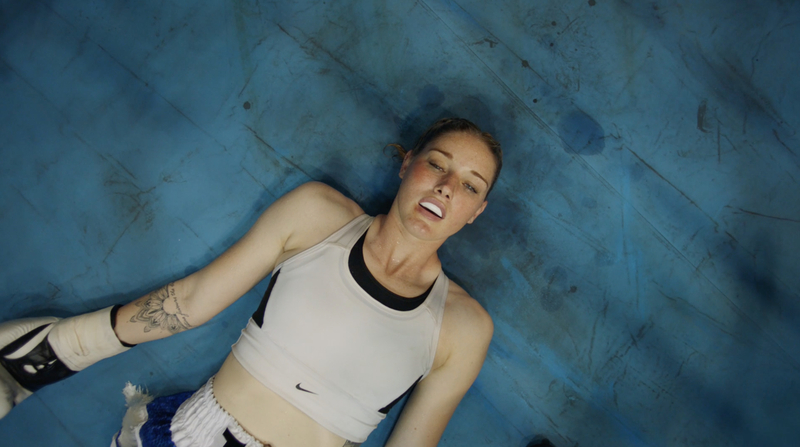 US (Reset / Academy) teamed up with Wieden + Kennedy Amsterdam to create this new campaign for NikeWomen celebrating the stories of elite and everyday athletes. The film encourages women to push beyond personal barriers and the limitations others may place on them. More Via Creativity below. Björk's 'Björk Digital' VR exhibition (May 19 - June 4) in L.A. will feature VR projects from director Andrew Thomas Huang (Strangelove). Having previously had showings in Tokyo and London, the exhibition itself allows patrons to immerse themselves in two virtual reality experiences: ‘Family’ and ‘Notget’. 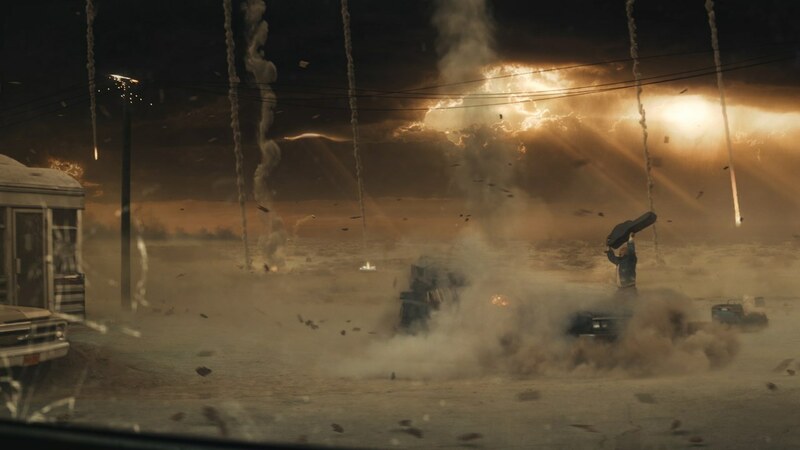 Electric Theatre Collective and Jose Cuervo say 'Tomorrow is Overrated' in their new apocalyptic campaign out of CP&B Los Angeles. Watch the Creativity Editor's Pick via more below. 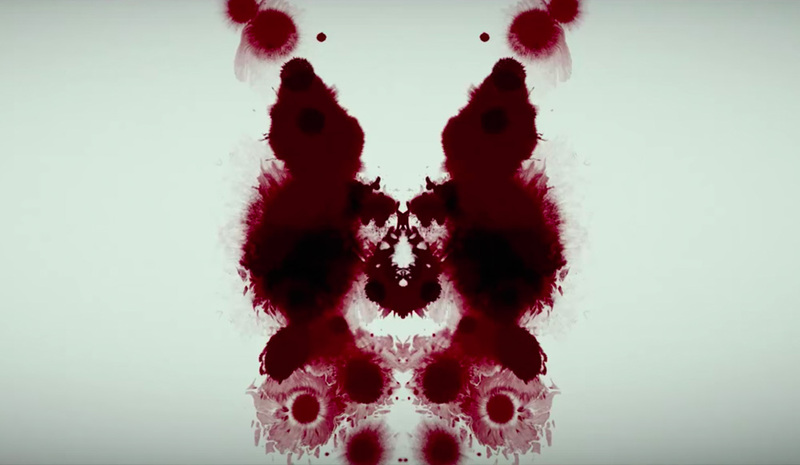 Watch the first trailer for Mindhunter, David Fincher’s (Reset) new serial killer series premiering this October on Netflix. 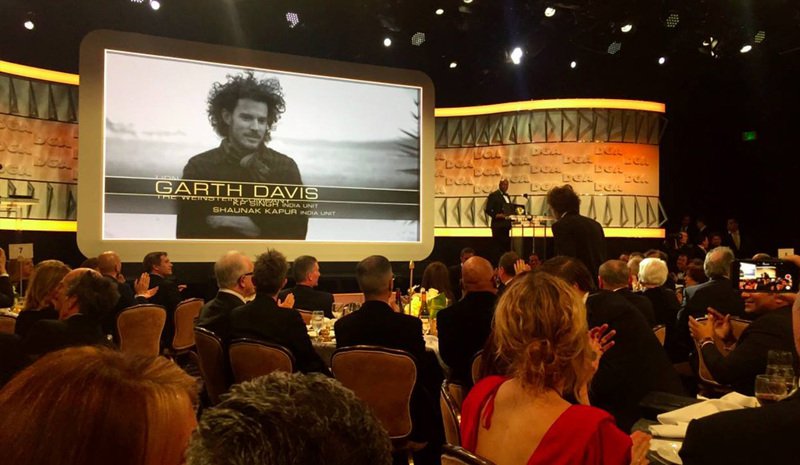 Massive congratulations to Garth Davis (Reset) for winning the DGA Award for First-Time Feature Film. Lion is the incredible true story of an adopted boy tracking down his birth family in India. The film has picked up award nominations across all the major shows and is gathering Oscar momentum. It’s showing in a cinema near you - watch the trailer below! 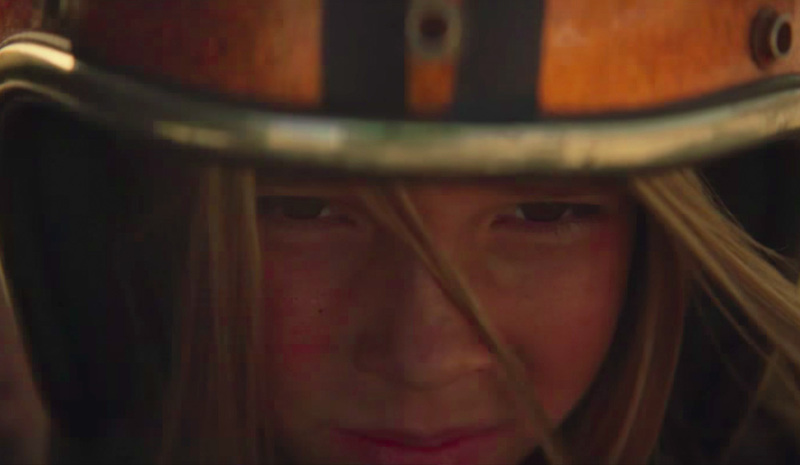 For Audi's feminist Super Bowl Ad, Electric Theatre Collective and Venables Bell & Partners team up to create a heartwarming father-daughter tale about equal pay.